Fintech startups in MENA have raised over $100 million in funding in the last 10 years, and a new report indicates the number of startups launched and investments raised will more than double by 2020. 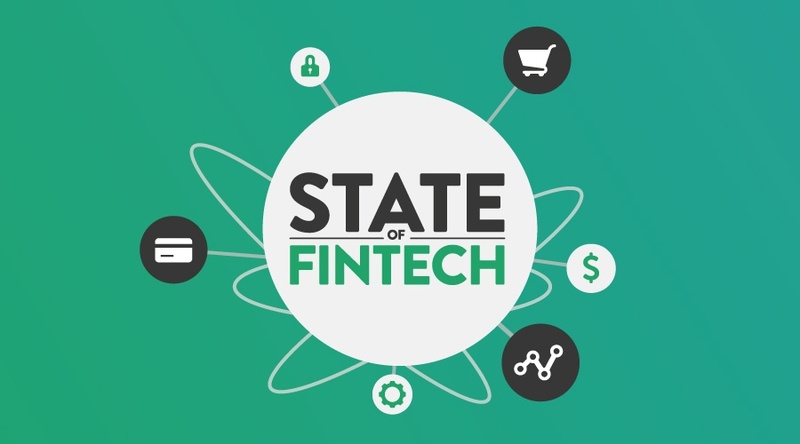 The State of Fintech report, launched today by the Wamda Research Lab (WRL) and Payfort, says startups aim to raise $50 million in funding this year, a 270 percent increase on the $18 million in disclosed investments last year. The region's largest single disclosed fintech investment is $6 million, for Egyptian bill presentment service Fawry in 2013 and online payment gateway Telr in 2014. Furthermore, while 105 fintech startups had launched in the region by the start of 2016, the report estimates that this will rise to 250 by 2020. Half offer some form of payment solution, and a third are involved in money lending and capital raising. During the launch event today, Wamda Capital partner Khaled Talhouni said the rate of change in the region from a cash economy to a cashless one would be “exponential”. “With fintech, the challenge is that there are very little grey zones, it’s mostly black and white, but we will work to support startups in this sector,” he said. Financial free zone Abu Dhabi Global Markets intends to work with other stakeholders to create regulation, rather than building a fintech framework in a vacuum. “There will be very large companies coming out of this sector and they will be the ones that are tailored to this region,” said Beco Capital managing partner Alvaro Abella. In MENA a staggering 86 percent of the adult population is unbanked. SME lending by regional banks is 50 percent below the middle income countries average. At the same time, ecommerce is set to quadruple until the end of this decade, and three in four GCC bank customers ‘would be ready to switch banks for a better digital experience,’ according to an EY study. To illustrate the growth potential, a You Gov survey exclusively run for the report found that 90 percent of the region’s banked customers hadn’t started to adopt fintech solutions. Partnerships, but also smart campaigns to educate the market, will push successful startups into a high growth trajectory. Fintech startups had launched in 12 countries by the end of 2015 (the study did not consider 2016 as most new launches take time to build visibility), shared equally between the GCC, Levant and North Africa. But four countries account for almost 75 percent of all startups: the UAE, Lebanon, Jordan and Egypt. Most of the 105 fintech companies the report covered were in the UAE, which lead in terms of quantity and quality of startups. It provides the most support and attracts the most promising enterprises, and is a hub for the ‘second wave’ of fintech ideas that have appeared since 2014. During the launch event Compareit4me CEO Jon Richards said fintech and the UAE were both individually attractive, and speculated that it wouldn’t be difficult to “sell” both in order to attract more talent to the region. Where ‘first wave’ startups pioneered payments and lending solutions, second wave companies are involved in more complex financial products. UAE-based second wave startups include international money transfer (Now Money), wealth management (Finerd), insurance (Democrance) as well as blockchain (Bit Oasis). “2017 will be a defining year for fintech in Egypt, and probably in the region,” said Ayman Ismail, founder of AUC Venture Lab. The regional support ecosystem saw plenty of activity last year with two Cairo-based and a Dubai-based accelerators opening their doors during 2016, as well as the launch of the Abu Dhabi Reg Lab, the first fintech sandbox in the MENA region. The increased support is filling a gap that fintech startups have been actively trying to overcome themselves: 44 percent already partner with banks and other corporations, another 44 percent seek to establish collaborations in the future. The combination of accelerators, rising investments and cross-industry partnerships is likely to fuel the rise of financial technology over the coming years. However, the authors of the report caution that MENA’s fintech opportunities could be lost if policymakers, entrepreneurs, investors and customers failed to come together. The report highlights the central role governments need to play, since they shape the regulatory framework, encourage investments and regulate national financial infrastructure. Fintech startups are advised to hedge risks by partnering with established corporations and understanding the regulations in their markets. On the flipside, it encourages investors and corporations not to waste time thinking about whether fintech will be an attractive industry, but which companies and business models are. Given the diversity of the region's markets, there is a degree of variety in the fintech sectors which work best in each country. For example, the financial inclusion opportunity in Egypt is different from the booming ecommerce sector of the UAE. 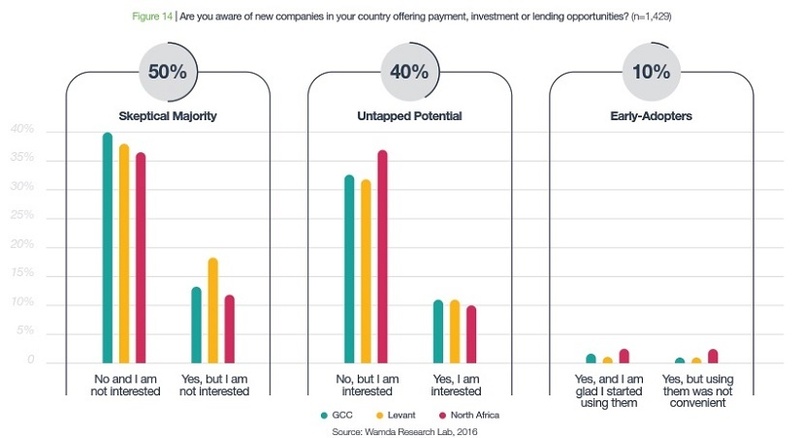 But there are some sectors, such as payments, which companies can afford to think regionally rather than nationally, bracketing countries in the GCC together and countries in the non-GCC market together. Startups have to think in beyond their borders if they want to scale. In fintech this is more challenging than in other industries, but an increasing number of entrepreneurs are managing to do this.